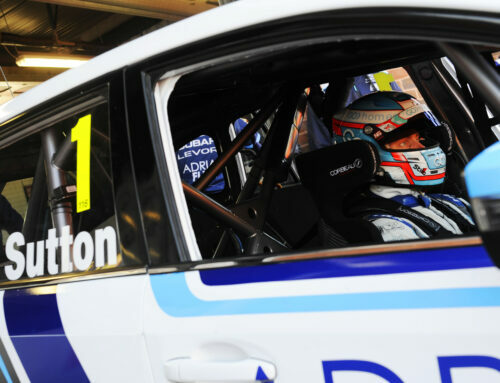 Ashley Sutton enjoyed a strong start to his 2019 Kwik Fit British Touring Car Championship campaign at Brands Hatch this past weekend (April 6/7) as he stormed to pole position and then followed it up by scoring a podium finish in race two. Remaining with Adrian Flux Subaru Racing for the third successive season, the 25-year-old kicked off the pursuit of regaining the title he won in 2017 in emphatic style as he led the way in qualifying, amid challenging conditions. 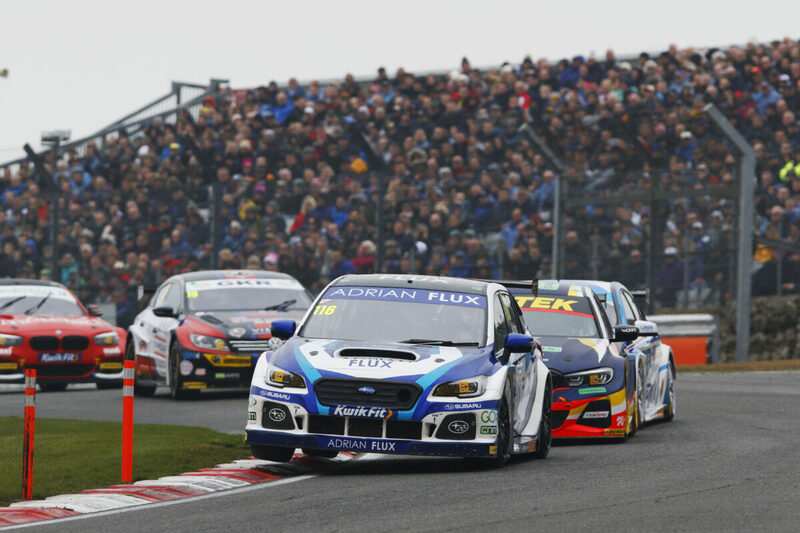 Making the best of the damp weather around the 1.2 mile Indy circuit, Sutton proved too much for the opposition as he rocketed to the top of the time-sheets in his rear-wheel-drive Subaru Levorg and was ultimately never headed, clinching the opening pole position of the season. Changeable conditions continued into race day with the season-opener an entertaining encounter. With tyre choice proving to be critical, Sutton joined a majority of the grid in bolting wet tyres on, and the selection proved to be inspired as he launched off the line and into an early lead. However, as those on slicks came to the fore, Sutton could only fight against the dwindling grip as the circuit dried whilst fighting tooth-and-nail as he was shuffled down the order, in the end finishing ninth. Starting on the soft option tyre for the second race of the day, the BRDC Superstar was soon on the move as the lights went out, jumping into sixth off the line. Dispatching Aiden Moffat on lap two, Sutton’s charge continued and he was soon on the back of Jake Hill and Adam Morgan for third and fourth, scything past both of them within a lap. Closing down Tom Chilton at a rapid rate, the former Jack Sears Trophy champion produced a stunning late dive down the inside at Graham Hill Bend and set off in pursuit of race leader Josh Cook. Eating into a four second lead, Sutton caught and passed Cook with another late-braking manoeuvre at Graham Hill. As tyre degradation began to play its part, Sutton would concede the lead to Andrew Jordan before prevailing from an almighty scrap for second place, with Hill and Morgan hot on his heels as the chequered flag fell. Lining up tenth virtue of the reverse grid draw for race three, Sutton had been on course for a top five finish before contact sent his Levorg crashing into the tyre barriers heading into Graham Hill Bend on lap 11, subsequently forcing him into the pits for a brief stop to remove bodywork. Rejoining the action a handful of laps down, Sutton brought his battered Adrian Flux-backed machine across the line in 25th. 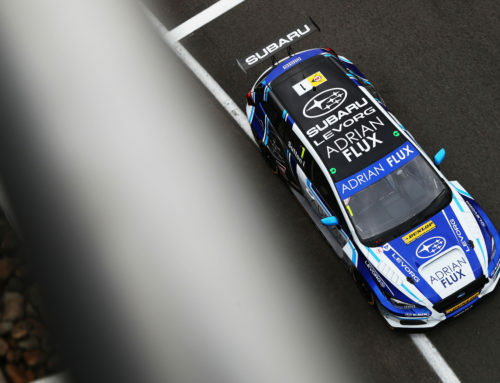 Following the first three rounds of the season, Sutton sits seventh in the BTCC Drivers’ Championships with Subaru third and Adrian Flux Subaru Racing seventh in the BTCC Manufacturer/Constructors Championship and BTCC Teams’ Championship respectively. Ashley Sutton: “It’s been a really good weekend, if not a bit of a rollercoaster one at that! To arrive at the first round of the season and put the car on pole position was mega, and it really validated all of the work the team have done over the winter too. “Unfortunately things didn’t go our way with the tyres and the conditions in the first race but we managed to hang on to eighth and that set us up for a strong race two. We clawed our way back, had some real pace in the car and picked up some silverware. 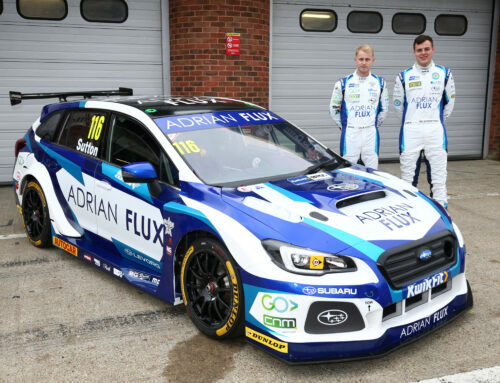 Sutton and Adrian Flux Subaru Racing will join a majority of the grid at the fastest circuit in the UK, Thruxton, for the traditional one-day TOCA test on April 17 before the Kwik Fit British Touring Car Championship resumes at Donington Park for Rounds 4, 5 & 6 on the weekend of April 27/28.